Suitable for high pressure systems and combi boilers (1.0 bar). Temperature limiter facility. Chrome plated. Pipe centers 150mm. 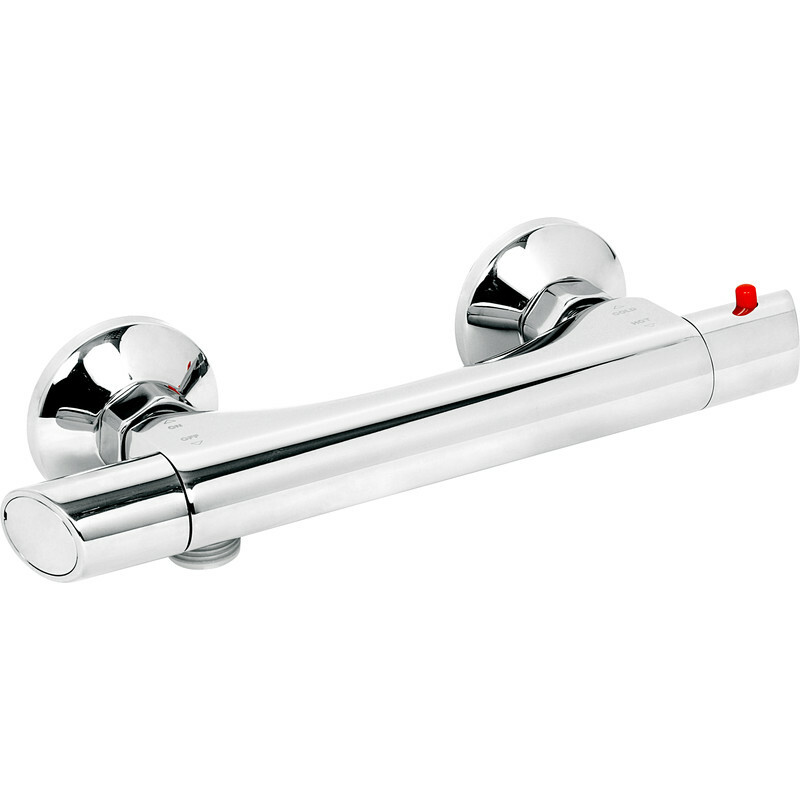 Deva High Pressure Thermostatic Bar Mixer Shower Valve is rated 5.0 out of 5 by 4. Rated 5 out of 5 by Simon P from A better replacement than my original JUST BOUGHT THRREE. Too early to say how they will last, but they work well at the moment. Rated 5 out of 5 by Sparkle mark from Shower bar The product was so easy to fit and works very well . Over the moon .